Now that it’s a brand-new year, it’s pretty tempting to run out and buy some brand-new yarn, as well. (I mean, when is it NOT a good idea to buy more yarn?) But it can be hard to justify the purchase when you have to look at your current yarn stash  every day – if it’s anything like mine, that means finding yarn in all the closets , tucked into drawers, and displayed “decoratively” in baskets on the table because there’s just nowhere else to put it. (To be fair, I’ve heard Vanna White does this, too.) 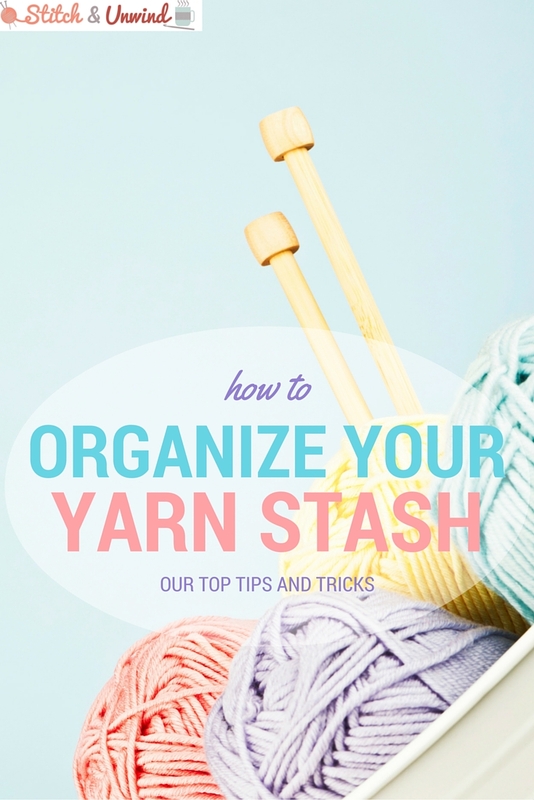 Clearly the thing to do is to get organized first , but it can be so overwhelming to start from scratch – not to mention, building a cabinet or dresser just for yarn is out of the picture for most people. 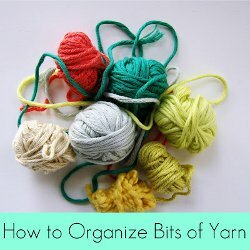 Fortunately, I’ve found a few clever yarn organization ideas  on the Internet that could be just the solution you need! 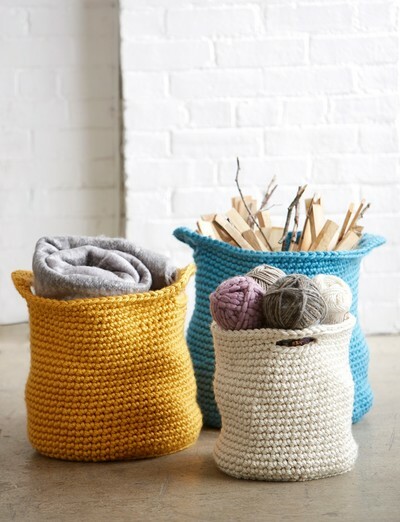 Use some of your stash to crochet these baskets , then store your supplies in them! Convert a wine rack into an all-in-one yarn storage solution with this tutorial . Fill up an unused shelf in a glass-door cabinet, like in this colorful home ! We might not all have an old locker on hand, but this is a fun an unusual idea  if you’re willing to buy one. This super-easy tutorial  can show you how to upcycle an old container to use for your yarn! If you’re a coffee addict, here’s a cute way  to upcycle your old canisters and use them for your yarn! Love Ikea? This easy hack  turns bag holders into a yarn station! 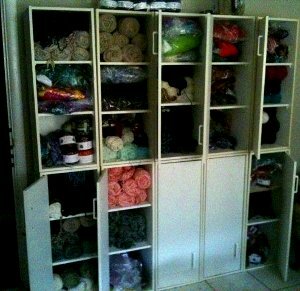 If you like these ideas as much as we do, check out AllFreeCrochet’s Pinterest board, Yarn Organization Ideas ! How do you keep your yarn organized?